We’ve already seen full-sized Lego replicas of many objects, including cars, but a Porsche 911 Turbo recently unveiled in Germany is a bit different. Rather than using the tiny pieces that cause so much pain when you stand on one barefoot, this model is built from giant versions of the bricks. 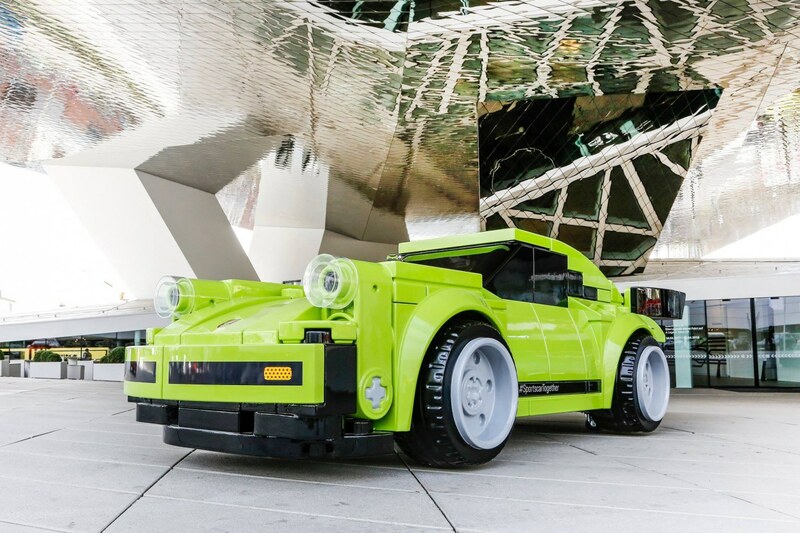 The aptly named “Porsche Lego Big Brick 911 Turbo 3.0” can be found at the Porsche Museum in Stuttgart, Germany. It’s essentially a scaled-up version of the 911 Turbo 3.0 found in Lego’s $30 Speed Champions set, which also comes with a Porsche 911 RSR. For those who want to built something a bit more challenging, and expensive, than the Speed Champions model, there’s the 2704-piece Lego Technic Porsche 911 GT3 RS. It measures 6-inches high, 22-inches long, and costs $300. A full-sized replica of this model, complete with seats and steering wheel, was put together a few years ago. Being a larger version of a Lego model, the Porsche resembles a giant toy, rather than a more realistic replica like the Ford Mustang V8 Coupe in the video below, though that was created using standard, small Lego (and Duplo) bricks. Lego didn’t reveal its process of putting together the Porsche. While most full-size Lego models use a metal frame and glue, it’s thought that the huge pieces were bolted together in this instance. The exhibit is at the museum until April 19, before going on display at the Porsche Tennis Grand Prix in Stuttgart from April 21 to April 29. Moving away from Lego replicas, Porsche earlier this week announced that it will build 500 electric vehicle charging stations in the US by end of 2019.